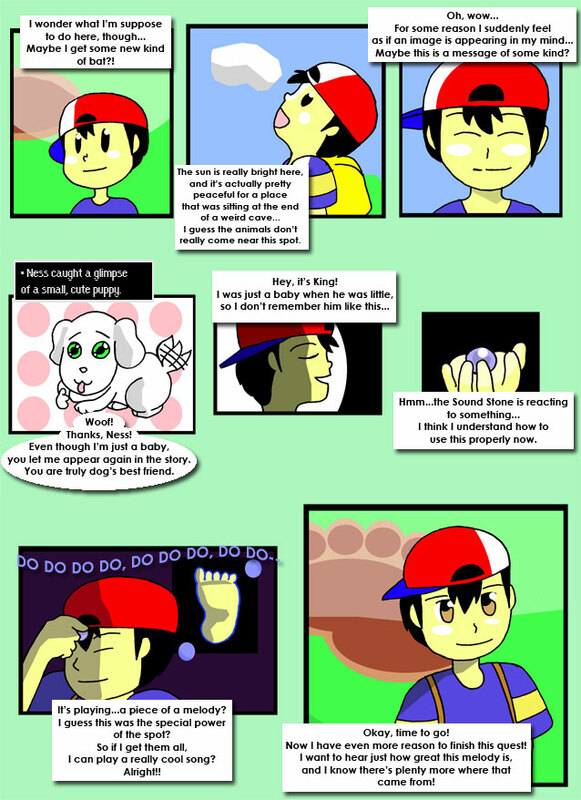 Ness discovers the purpose of the Sound Stone - It records awesome music! After recording the melody, Ness proceeds to the internet where he proceeds to record countless copyrighted music. Unfortunately for him, the police are onto his every move. Just about most living things don't react very well when lit on fire. Mummies are no different. Unfortunately, giant stone guardians and fire get along very well. Too well, in fact. As it turns out, Pokey is the one responsible for the VC not getting Earthbound after all. Look forward to Shaq Fu next Monday, folks.